Snowball cookies, aka Mexican Wedding cookies, Russian Tea cakes, Butterballs, no matter what you call them, they are melt-in-your-mouth delicious! Powdered sugar contains cornstarch, which is the secret to the tenderness of this simple cookie. Cornstarch is added to the base of my Lemon Bar cookies for this same texture. 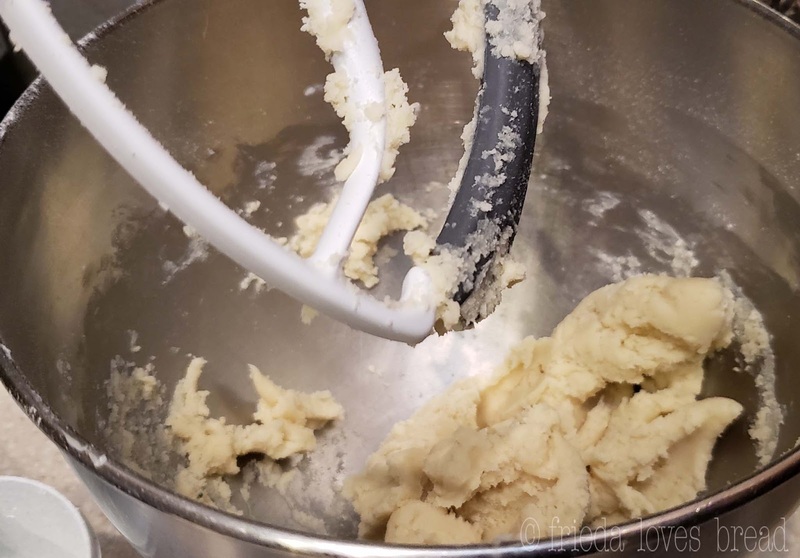 With the help of my Kitchen Aid mixer, the ingredients come together very easily, making a stiff, butter rich dough. The Flex Edge beater does a pretty good job scraping the sides of the bowl. A cookie scoop and a silicone baking sheet are my two essential tools for making cookies. Oh, and my trusty Kitchen Aid mixer that I've had for ...ever? 25 years? One of the great things about this cookie is that it is so fast to put together. 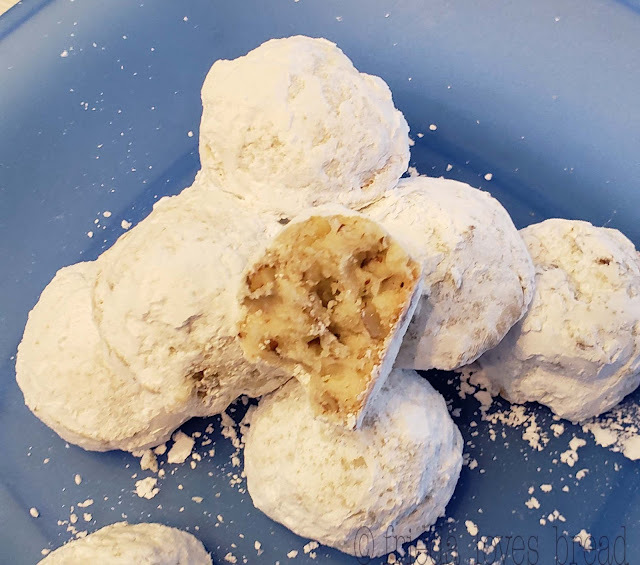 There's no need to chill the dough and it's a fun project for kiddos to roll the baked cookies in powdered sugar. 1. Cream together the butter, powder sugar.2. Add vanilla extract.3. Blend in flour, salt and nuts.4. Using a 2 Tablespoon cookie scoop, portion the dough into 1 inch balls and place on an ungreased or silicone baking sheet.5. Bake in a preheated 350°F oven for 15-20 minutes, or until set, but not brown.6. Cool cookies slightly and roll in powdered sugar; set aside.7. Cool cookies completely and roll again in powdered sugar.